**including a mix of older titles and 2018 titles going as far back as the beginning of the year! And this will just be based on what I've seen from the blogs I follow! Perhaps on some other blogs that I don't know about they were all over these books. I just don't know! 10. 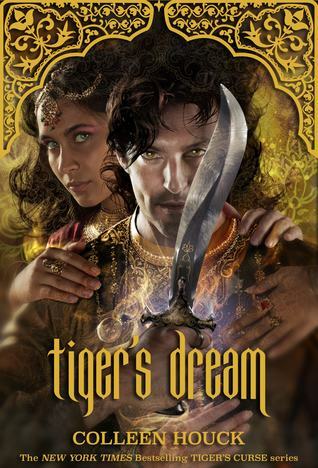 TIGER'S DREAM by Colleen Houck--this one released earlier this year, and yet, I don't recall seeing many reviews on it! It was the book we were all waiting for! Kishan's book! I admit, it's intimidating for some at over 800+ pages and there were parts that I felt dragged a bit, but it was still an incredibly amazing read that I ended up giving 4.5/5 stars! 9. 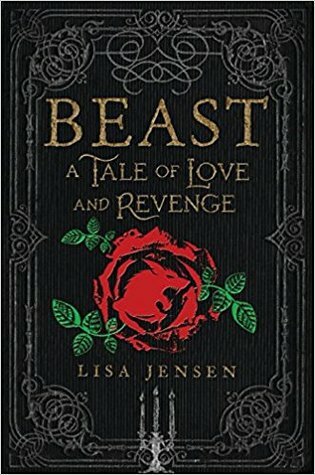 BEAST: A TALE OF LOVE AND REVENGE by Lisa Jensen--I thought this was a most magical retelling of The Beauty and the Beast. I didn't see too many reviews on it and the few that I glimpsed were ones who were unhappy with it. I'll admit that there were parts that were hard to read through, yet it's still one of those reads I really enjoyed overall and gave it 5 stars! It's lyrically stunning! 8. 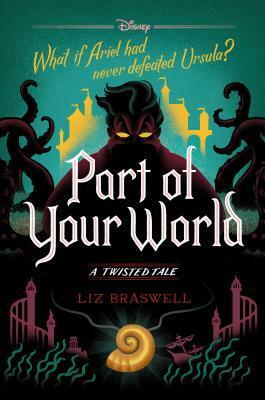 PART OF YOUR WORLD by Liz Braswell--as I write this, it still has a few days until its release, but I have seen virtually nothing about it anywhere! I know a lot of us struggled with Liz's first two books, though I think she finally got me liking the books with her Beauty and the Beast twist! This one was equally impressive and I hope that I will see more hype and love for it in the days to come! 7. 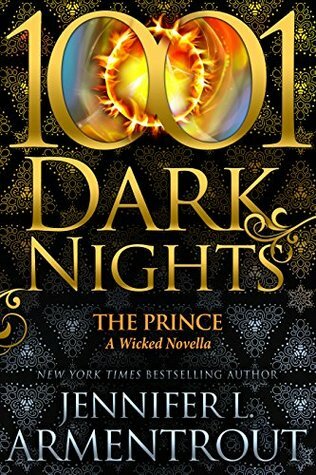 THE PRINCE by Jennifer L. Armentrout--yes, there was a whole big release blitz over this one but other than that I feel like I really haven't seen much of this one around either! It's a novella that continues the story of Wicked in novella form and there's going to be another installment next year! Yes! This one was soooo amazingly good and I can't believe I have yet to see it anywhere besides the blog tour posts! 6. 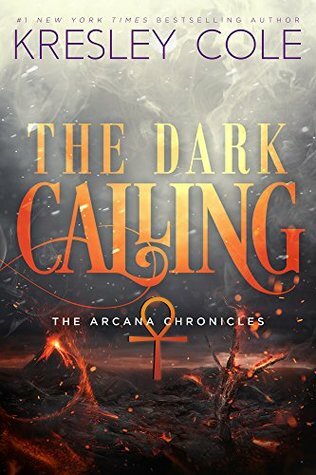 THE DARK CALLING by Kresley Cole--this one released earlier this year and continues the Arcana Chronicles story. It was amazing! I feel like this series is hit or miss for people. I struggled with the first book, mostly because we had no idea what was going on regarding the game and all the characters and everything. Now that we've gotten through that, I feel like the story has really gotten good! And yet, I rarely see this series talked about. 5. 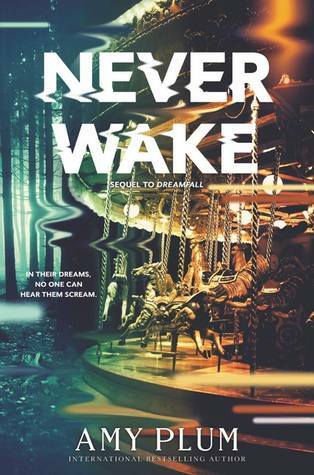 NEVERWAKE by Amy Plum--this one released just last month, and I don't recall ever seeing a review for it anywhere! As I write this post, I'm reading it now and enjoying it! It's creepy and mysterious and I am eager to see where things go and end! 4. 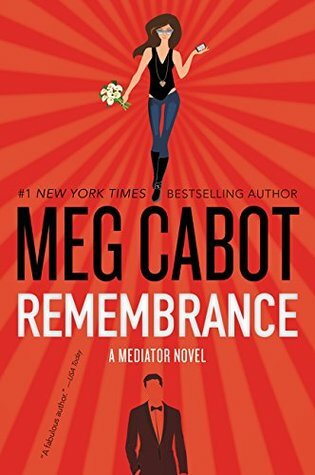 REMEMBRANCE by Meg Cabot--okay, this one is older, from last year and yet no one seems to talk about it anymore! I know the original YA series is even older, but guys this is like Veronica Mars meets Ghost Whisperer! Or sort of Ghost Whisperer, ironically I couldn't get into that show that much! This is a series I HIGHLY recommend if you like Veronica Mars and ghostly happenings! 3. 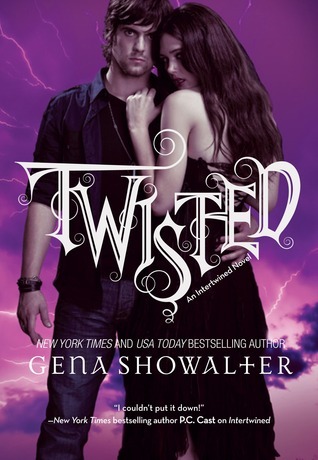 TWISTED by Gena Showalter--I will be going to my grave lamenting the loss of this series! True story. I still don't understand what happened. Was it too much before its time?! I mean I thought it came out right when paranormal YA was hot! And yet, something happened and the sales went down and the publishers decided we were not going to get that final book and now it seems Gena has even lost her love for it for there is no finale coming! Yet this series was soooo amazing you guys! Vampires, ghosts, werewolves...it had it all!!! 2. 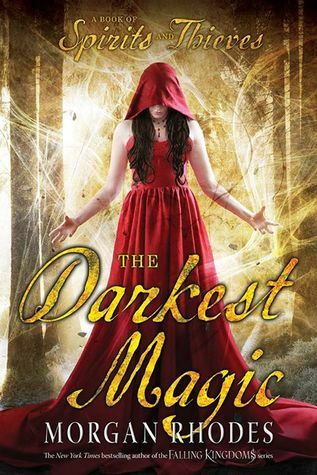 THE DARKEST MAGIC by Morgan Rhodes--this is basically the "you make me cry" tier of the post! Yet another cancelled series, but since it's most recent in its cancellation I am still holding out on hope that we can boost up the sales and interest for this one and that a final book can happen! I get sales and numbers are important, I do. But don't publishers care about the SANITY of their readers? This one was a prequel of sorts to the Falling Kingdoms series, in part, as the other part was modern-day Toronto and basically having the two worlds collide on a regular basis! It had some similarities with the Falling Kingdoms series, the traits that we all came to love with the characters plus action, romance, and an intriguing and thick storyline that NEEDS TO BE COMPLETED!!! 1. 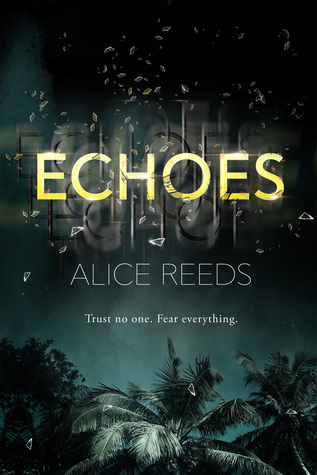 ECHOES by Alice Reeds--another new release from last month that I am not seeing too much around lately. This cannot happen again! I cannot fall in love with a book that was meant to have more to its series! It was a fantastic read that blends LOST and a thicker mystery plot! One involving twists and turns and deceptions and of course a budding romance! I have yet to learn if there's already a sequel in store, but THERE NEEDS TO BE!!!! I am seriously riding the brink of insanity with all these cancelled series! Why does this keep happening to me?! Thanks for sharing some of your favorite small gems. They are all new to me! You know i'm right there with you about Echoes! Every time a blog asks what my favorite read was for August, I boost Echoes because it was so much fun to read, especially if people like mysteries, twists (she got me many times, am I just gullible or is Alice Reeds that good? I'm going with the latter :), and great characters, they'll love this book. Remembrance does sound like an interesting read. I wonder why people stopped talking about it? Thank you for sharing your list of hidden gems. I can't believe I missed Beast. I love Beauty and the Beast retellings. I'm so sorry about that book series that was cancelled. It is so disappointing when a series a reader is invested on is cancelled because of sales. I actually started the Twisted series years ago. I don't know why I didn't finish it, because I liked it, but someday maybe I will read that last book. Echoes is one I definitely plan on reading soon- I love the sound of the mystery! And Morgan Rhodes I've been wanting to try for a while! Some of these I've heard of, others I haven't. 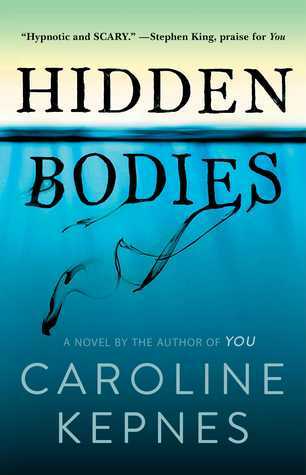 And ooh, I didn't know about Hidden Bodies by Caroline Kepnes, I read her for the first time recently and loved her writing. Ooooh I didn't even know Tiger's Dream was out! That's so exciting! I REALLY need to read Neverwake and Echoes. Like so very badly. I keep hoping I can buy Neverwake soon, really. And then maybe Echoes one of these days too, because I have heard a few good things, but you're right, almost no one has even reviewed them! Great choices! I loved The Prince and it does deserve more love. And I haven't read that series from Morgan Rhodes yet but I kept meaning to and I was sad to hear it was cancelled.